Here is my latest review for Game Industry News. Here’s the trailer for the game in case you read my review and thought you’d like to see for yourself what it’s all about. When you’re a writer, the advice you’re often given is to blog. When you blog, the advice you’re often given is to keep up regular content changes. Better advice would be to not do anything damaging to your right index finger, or any of your other fingers, for that matter. Our fingers, and especially our thumb, are one of many traits that make us human and make us able to type. Another thing that makes us human is our ability to adapt to changing environments. Along those lines, I live in a large neighborhood between two major transportation arteries. There are probably twenty ways to conveniently exit my neighborhood. I generally use the same one that’s closest to my house. Recently, the county has been doing some work at that exit. Can I get my brain to drive a different way? Not so far. This is sad, because were I one of those early human species struggling to get a foothold and become H. sapiens, my branch would have died off due to my crappy fingers and my inability to adapt to my environment. Well, that and I don’t have children. Why then is there a picture of my dog at the top of this page? 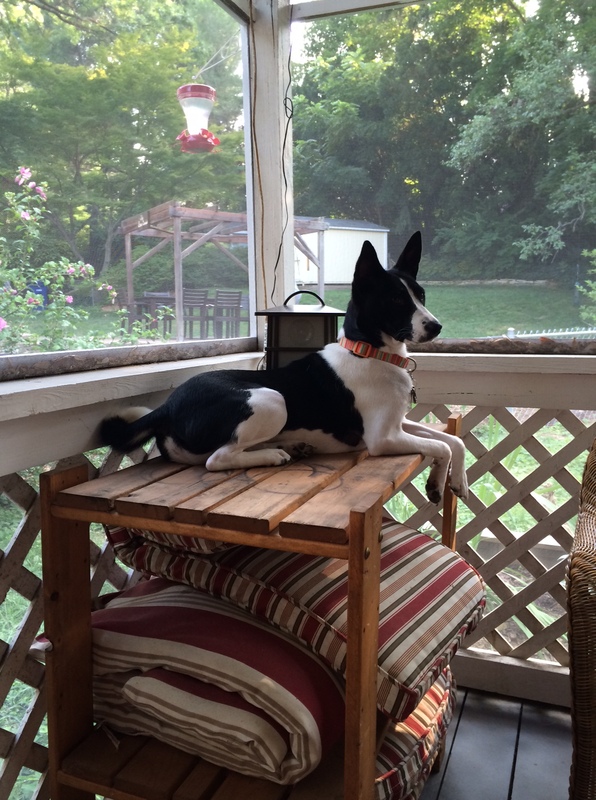 He’s a basenji, one of the ancient breeds that have adapted quite well. He also woke me with his snoring several times last night. None of our other basenjis snored but he saws away like a bulldog. When I don’t get enough sleep and my finger is messed up, I think about weird things and this is the kind of post that happens.